This is landing just a bit late because of the need for it to be reviewed before landing. I was only aware of the spec on Tuesday and it took some time to figure out how to work on ubiquity. This should improve the usability of the new minimal install option feature. 1. I successfully built ubiquity. 2. I ran Ubuntu in Try Ubuntu mode. 3. I installed the new ubiquity* .debs. 4. I completed an install with the Normal install option. 5. I repeated steps 2-3 and completed a Minimal install. > This is landing just a bit late because of the need for it to be reviewed before landing. > out how to figure out how to work on ubiquity. > 1. I successfully built ubiquity. > 2. I ran Ubuntu in Try Ubuntu mode. > 3. I installed the new ubiquity* .debs. > 4. I completed an install with the Normal install option. > 5. I repeated steps 2-3 and completed a Minimal install. long as docs/translations are too. check. You could upload to a PPA, or we could block in proposed. 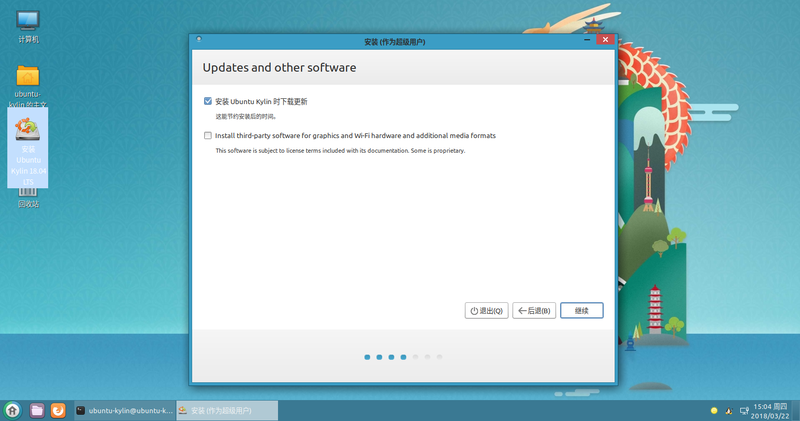 KDE front end is unchanged. Apologies, not unchanged. Lacking the new radio boxes, and now with a much terser message. With respect to Kubuntu, and testing the packages from Jeremy's PPA, this represents a regression in the KDE front end, without any on the benefits seen in the GTK one. To echo what Rik said, with my Kubuntu hat on, NACK. Please fix the KDE frontend to reflect the same changes as in the GTK frontend. Respectfully, I don't see an actual regression here. And I don't consider it my responsibility to tweak the Kubuntu installer. 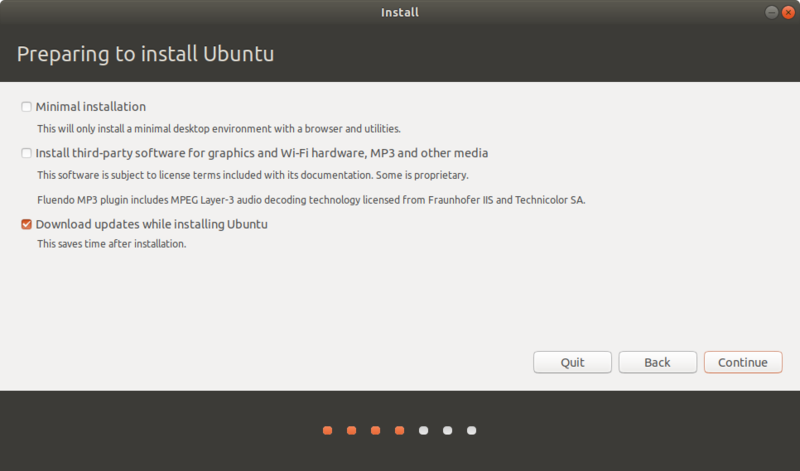 If you want to use a radio button and extra headings like Ubuntu does, do it! If you need a different normal install label since you keep a media player installed, add it! > Respectfully, I don't see an actual regression here. 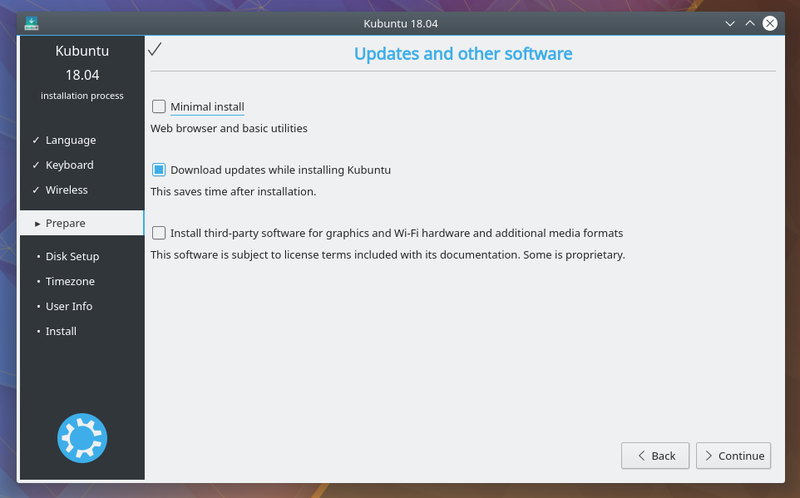 And I don't consider it my responsibility to tweak the Kubuntu installer. Respectfully, if you're going to make a change and you're not willing to follow through with it in the whole codebase rather than just one part of it, I consider that a regression, regardless of which hat I wear. It's certainly not something that I would consider a priority for a release if you're only going to fix one frontend. Please, if you're introducing this change, all or nothing here. Kubuntu still stands at a NACK. I think this is way too late in the process to throw a regression at an LTS. Why is this a regression? 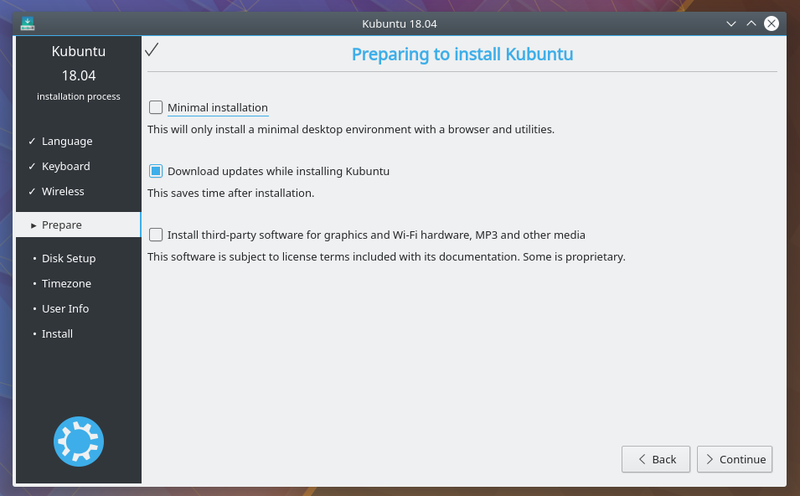 It is a regression because it changes the text in the Kubuntu installer to the point that the message is unclear to the average user what exactly a "Minimal install" is. If you want to introduce something so late, especially for an LTS, there can't be regressions or if there are they need to be corrected by the original committer. Otherwise, the original commiter is essentially introducing regression with the response "deal with it". In my opinion, this is unacceptable because it adds work onto flavours without necessary time to solve it as well as finishing the already planned work. I think the overall idea could work well but making an exception for something that improves the install for one section of the codebase but adds a regression to another is not acceptable, especially for an LTS. OK, let's wait until at least the string is fixed in the KDE frontend or preferably the new UI is implemented there too. Seems like a simple way to avoid the Kubuntu regression would be to use new strings, rather than changed strings, for the minimal install radio button. 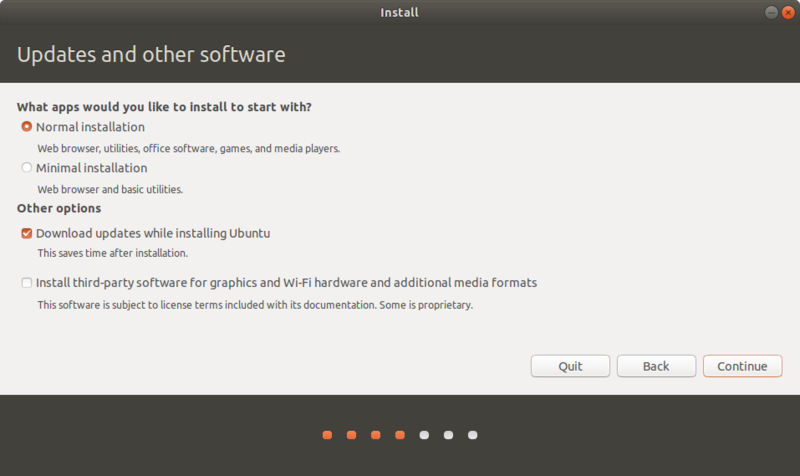 Re: the new strings, using "install" as a noun is not appropriate, IMHO. Adolfo, thank you for your feedback. As a native US English speaker, I think "install" is perfectly acceptable to use as a noun when referring to an installation of software. I don't think it would be an improvement to switch it back to "installation". Matthew, thank you for your review. I like the radio button descriptions without periods better, but I will defer to your preference at this point in our release cycle. I'll update the strings to include the periods on Monday (if it's still not been done) after we see what the Kubuntu developers come up with. 1) Wiktionary says it is informal and 2) it creates one more fuzzy string. All else being equal, I prefer whichever variant has fewest syllables. But Adolfo makes good points, thank you. Spec updated to use “Normal installation” and “Minimal installation”. Merge proposal updated to incorporate KDE changes from Rik Mills, and incorporate the improvements suggested by Matthew Paul Thomas and Adolfo James. I'm attaching an updated screenshot. Thanks for your feedback. I'm on the release team and I wanted to make sure it was clear that the freeze exception request was not approved after that comment. I believe setting the bug report to Incomplete conveyed that. I have run through a couple of installs with Jememy's updated PPA packages, which incorporate the latest changes, and all seems good with the KDE/Qt front end from that.